Smart Grid can help utilities gain a leaner and more effective service supply chain. These advantages are applicable in other 'smart sectors' as well. Smart Meters/Advanced Metering Infrastructure (AMI)—Digital meters measuring power consumption, connected via communications, to enable remote meter reading and report in near real-time on actual consumption. Smart meters can go down to the device or outlet level which allows precise control to enable demand response during periods of peak demand. Phasor Measurement Units (PMU) and Sensors—PMUs monitor the phase and amplitude of AC voltage at points in the network. A network of PMUs provides real-time monitoring of a region which can rapidly respond to changing conditions, for example to contain power outages. 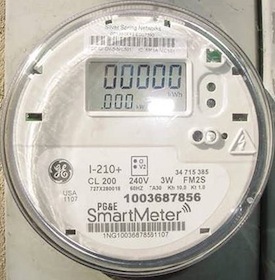 Other sensors, such as distributed temperature sensors, electromagnetic signature measurement, and a plethora of other types of sensors, as well as information from smart meters, provide a more complete picture, enabling things like dynamic line rating, congestion and stability monitoring, and detection of power theft. Integrated Communications Capabilities—Most of the smart grid improvements are dependent on improved communications capabilities such as upgrading from modems to direct network communications, higher bandwidth, more locations (often via wireless), and power-line carrier. These communications enhancements are considered part of the smart grid, as they are essential to connect the smart grid hardware (sensors, automation systems, and smart meters) to the smart grid decision and management systems. Power System Automation—Rapid automated diagnosis and control of power system (e.g. Voltage Stability Monitoring & Control software) to improve reliability via intelligent distributed agents/control systems, analytics, and operational tools such as substation automation and demand response. This is dependent on having the network of sensors, control systems, and communications in place. 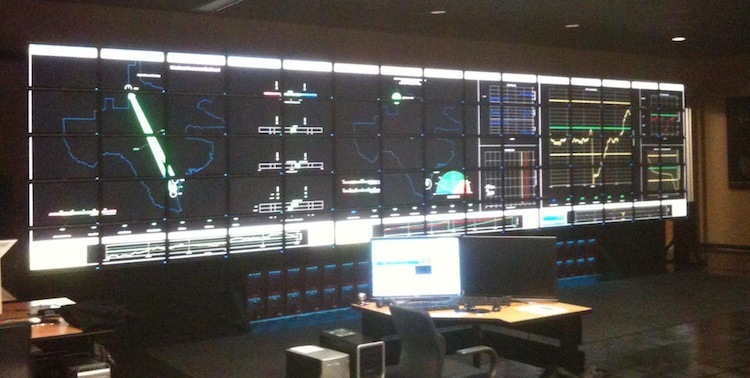 Grid Visualization and Decision Support—Visualization and decision support integrates information from real-time sensors, weather data, and geographic information, and does grid modeling to provide graphical interfaces, making it easier and more intuitive, and enabling better decisions by the engineers managing the grid. These tools can be in the form of dashboards with graphs/charts, meters, alert indicators, map views, etc. They can be integrated with control systems and provide simulation and what-if analysis. Grid Management Systems—Energy Management Systems (to monitor, control, and optimize power generation and/or transmission systems) and Distribution Management System (real-time information and control of the distribution network). Smart Generation and Load Balancing—Matching supply and demand using generation capabilities that can start and stop quickly and efficiently,2 as well as demand response capabilities. This is in response to both demand fluctuation, but increasingly to supply fluctuation due to the variable nature of wind and solar power. Demand and supply balancing is critical to maintain stable frequency and voltage and prevent outages. 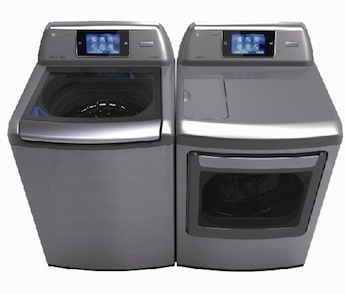 Smart Appliances, Smart Buildings, Smart Factories—Adding monitoring, intelligence, and communications capabilities to consumer appliances, residential and commercial buildings and their equipment, and factories, enables utilities and their customers more visibility and control on the demand side of the equation (demand response). There are many things that can be done with the smart grid. These include things like demand response (ability for utilities to intelligently throttle back consumption by both businesses and residences during periods of peak demand for power); renewable energy (presents new challenges for the grid, such as distributed generation… e.g. electricity flowing back into the grid from thousands of solar power rooftops … as well as the intermittent and unsteady generation of power from sun and wind); enabling efficiency improvements (by providing more precise visibility and smarter automation and control of equipment and consumption by homeowners, commercial building owners, and plant owners); ensuring grid reliability (a prime goal of the smart grid, achieved by means such as the ability to more rapidly detect and isolate failures; and other use cases). There are a number of elements to a holistic spare parts inventory strategy for utilities, such as better part and component failure-rate data and analysis, better failure consequence analysis, improved workforce management, and of course predictive maintenance (our focus here). Once a utility’s generation, transmission, and distribution assets have been outfitted with sensors, it enables the ability to detect equipment issues early and predict potential failures before they happen. 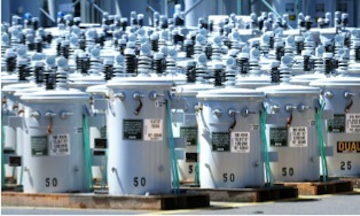 Transformers—temperature, pressure, vacuum levels, in and out voltages, analysis of the insulating oil in transformers (dissolved gas, moisture, acid, dielectric strength), as well as detecting RFI ‘failure signatures’ of arc and partial-arc sources. Circuit Breakers—opening and closing times, available magnitude of I2t energy. Switchgear—Connector temperature, insulation condition monitoring. Cable Connections—Insulation breakdown monitoring, e.g. via partial discharge monitoring and other means. Power Generation Equipment—These are typically the most complex pieces of equipment in the network. Technology varies greatly from turbines of all sorts and sizes to solar panels and inverters to wind power gear boxes—all of it increasingly instrumented and monitored on many levels. Once predictive monitoring is in place (see sidebar “Sensors Enabling Predictive Maintenance”), the preventative maintenance can be done based on actual equipment condition, rather than based solely on the hours of operational use or measured amount of use (e.g. # of GWhs produced or transmitted), or worse yet based solely on elapsed time since last maintenance. When equipment is repaired based on elapsed time or hours of use, prudent guidelines will be based on estimates (with a margin of safety) of when the first piece of equipment might fail across the entire population of equipment, since there is no way to tell which particular piece of equipment will fail first. By nature, this approach is conservative and replaces many pieces of equipment long before it is needed and/or risks having something fail before it is replaced. In contrast, when equipment is serviced based on monitoring, it is much more in line with actual wear and tear and need for service. It brings the multiple advantages of making fewer scheduled maintenance repairs or replacements, using less inventory, while simultaneously reducing failures. According to a DOE survey, implementing a functional predictive maintenance program can reduce equipment breakdowns by 70%-75%. Furthermore, smart grid’s monitoring capabilities allow more targeted repairs. For example, it is common for utilities that have a problem circuit in their distribution network to do a complete line rebuild. If they are able to pinpoint the problem with more precision, they can repair only the problem component. Smart grid can further reduce equipment failures by more precise management of the grid. For example, from time-to-time transformers need to be taken off line. Flux monitoring and management units can be used to avoid excess current inrush when re-energizing transformers,4 thereby reducing damage to transformers and circuit breakers. This further reduces the need for spare parts inventory. In short, by leveraging smart grid technology, repairs can be made on much more of an as-needed basis, reducing spare parts inventory requirements and the number of maintenance operations required, while simultaneously improving equipment and grid reliability. Transportation Systems—airplanes (engines, landing gears, fuel systems, etc. ), train and track monitoring, ships, automobiles, buses. 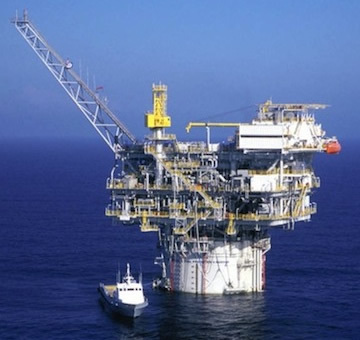 Oil and Gas Exploration and Production—oil and gas well telemetry, drilling and pumping equipment monitoring. Manufacturing Plants—monitoring of pumps, motors, belts, tanks, ovens, etc. Manufacturing has possibly the most mature and thorough instrumentation of any of these sectors. Industrial Equipment—mining equipment, agricultural (harvesters, tractors, etc. ), cranes and construction, etc. Warehouses—material handling equipment, freezer and refrigeration equipment. Smart Buildings—HVAC equipment, security systems, elevators, escalators, lighting, plumbing, etc. There has been a ‘surge of smart’—adding sensors, wireless communication, monitoring capabilities, and predictive analytics, across all these fields and others. We see similar benefits in smarter, more targeted, more timely, and more effective service planning and execution across all these domains as well, based on the improved intelligence coming from the new smart sensor-enabled world.